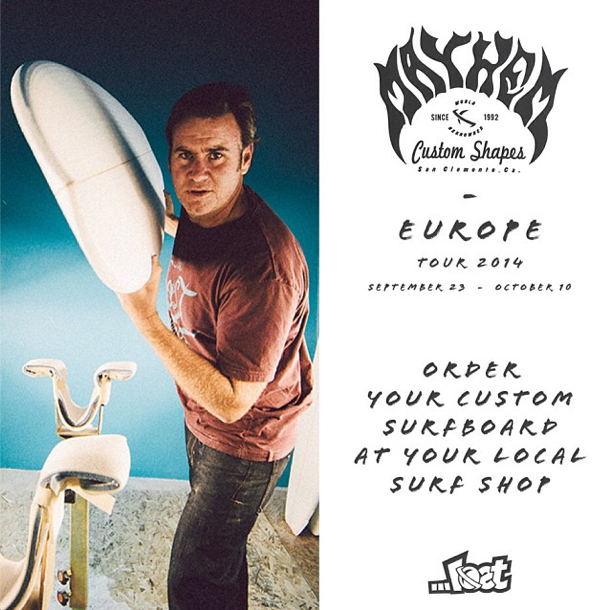 Matt “Mahyhem” Biolos will be in Europe for three weeks, September 23rd – October 10th, shaping custom surfboards. All …Lost and Pukas dealers are accepting orders now. Get your oders in and plan on seeing Mayhem in a shaping bay or lineup near you Basque Conutry.